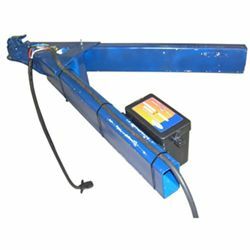 Breakaway kits are designed to bring trailers safely to a stop by activating the electric brakes should a trailer disconnect from the tow vehicle during transit. Ideally, the safety chains will prevent a trailer from disconnecting if the coupler comes off the ball. 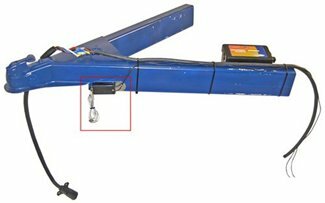 However, if the safety chains fail, the breakaway kit acts as a last line of defense against a runaway trailer. 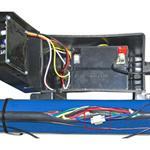 This type of safety system is required in most states for trailers weighing more than 3,000 lbs. If the trailer disconnects, the cable pulls a pin out of the switch, activating the trailer brakes. 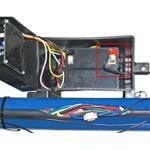 Locate a secure surface on the trailer to mount the breakaway kit battery box. A typical position is on the inside of one of the trailer frames in the front of the trailer. 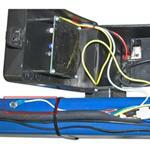 Self-tapping screws or U-bolts are usually included for mounting the battery box. 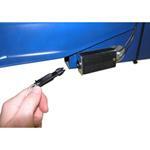 Mount the breakaway switch close to the trailer coupler so the cable can be attached to the vehicle. Also, mount the breakaway switch close enough to the battery box so their wires can connect. A typical position is on the outside of the trailer frame between the trailer connector and the battery box. NOTE: The switch is held in place with only one screw. It needs to be tight but not so tight that it cannot rotate to allow the pin to be pulled out. Breakaway kits without battery chargers require three connections. Remember to periodically remove the battery from the box to charge it, or replace it accordingly. Splice one of the two wires coming out of the breakaway switch into the trailer brake wire running from the trailer connector to the brakes. Connect the second wire coming out of the switch to the brake wire (blue) coming out of the battery box. This connection will send power to the breakaway switch. 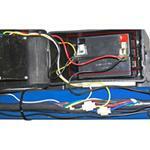 NOTE: Both wires on the breakaway switch are interchangeable. Splice the white wire coming out of the battery box into the existing ground wire (usually white) running from the trailer connector to the trailer, or screw the white wire directly to the trailer frame. Hopkins breakaway kits with built-in chargers require four connections. One connection has already been made inside the battery box. 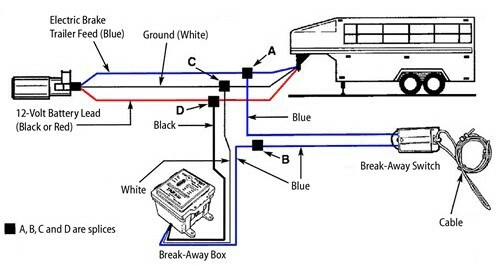 The following diagram shows a typical wiring configuration for a Hopkins breakaway kit with a battery charger. Some other manufacturers have similar configurations, but not all wire colors are the same. 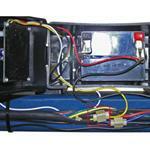 Consult your breakaway kit directions before installation to verify the wiring configuration. 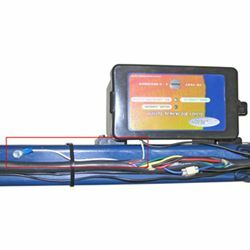 This connection will charge the battery when the vehicle is in use. 1. Splice one of the two wires coming out of the breakaway switch into the trailer brake wire running from the trailer connector to the brakes. 2. Open the battery box and connect the second wire coming out of the switch to the positive post (red) on the battery. 3. Connect the red wire on the charger to the positive post (red) on the battery. This connection charges the battery. There should now be two wires connected to the positive post: the second switch wire and the red charger wire. Connect the black wire on the charger to the negative post (black) on the battery. 4. Splice the white wire on the charger into the existing ground wire (usually white) running from the trailer connector to the trailer, or screw the white wire directly to the trailer frame. 5. 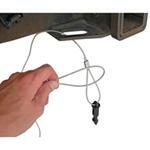 Splice or run the 12 volt hot lead (black for Tekonsha, yellow for Tow Ready) on the charger into the 12 volt hot lead running from the trailer connector to the trailer.